Imagine that you have to walk 10 kilometres to get to school (and the same back home after school); that you have up to 160 students in your class; that you have no stationery or books; that you have no desk or chair; that you have nothing to eat during the school day; and that there are no toilets or running water at your school. 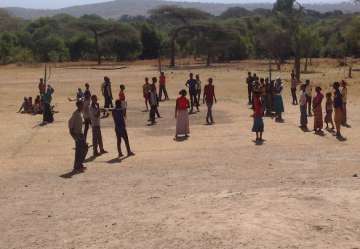 Thousands of children in elementary schools in the Haban Woreda around the Hara Langano Lodge south of Lake Langano in Ethiopia don’t have to imagine this. They experience it every school day. They have too few teachers, and after two years of drought, there is not enough money for the local people to pay for community teachers to supplement the state teachers. There are too few classrooms and accommodation for teachers who come from outside the district. School compounds are insecure. There is often room for sports to be played but little or no sports equipment. Life is especially hard for orphans and disabled children and there is no scope for dealing with special needs. A high percentage do not go on to high school. 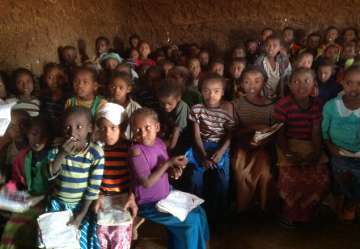 We recognise the Ethiopian government have worked hard, with help from donors and with considerable success, to raise attendance numbers in schools. 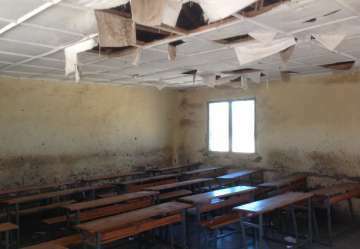 They are now seeking to do more to improve the quality of education. But this is a huge task, and they need help. 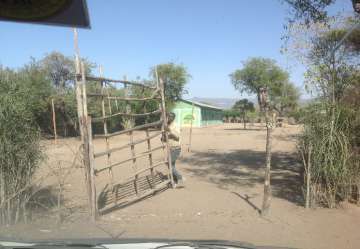 When there were disturbances nearby in the autumn of 2016, many people from the Haban Hara area turned out to protect the Hara Langano Lodge from a hostile crowd composed largely of people from outside the district. The local people had recognised that this was a community lodge, set up for their benefit to provide them and their neighbours with work and skills and to recycle any eventual profits into local social projects. To acknowledge and thank the Haban Hara community for their help in times of trouble, we have decided to assist the ten elementary schools in this area with some of their worst resource problems. In the first instance, we have established in consultation with community leaders that the priority needs are teachers and salaries; desks/chairs/books and libraries; toilets and water supplies; and classrooms and staff accommodation. We have formed the “Friends of Haban Hara” to raise funds to support the schools and bring them all up over time to a similar level of resources. A relatively small amount of money can go a long way. As examples, it costs only US$450 to pay a community teacher for a year; US$25 to supply a desk; US$3000 to dig a borehole; or US$15,000 to build a block of two classrooms. Any money you are able to provide us with will be directed to the most immediate needs, with local manufacture or supply used wherever possible and all administrative overheads covered by the Lodge. Just imagine being in a class of 160 children – you can do something about that!